The Kuvasz was said to be the king’s guard dog. The Kuvasz is an ancient breed specifically used to guard livestock, primarily horses. 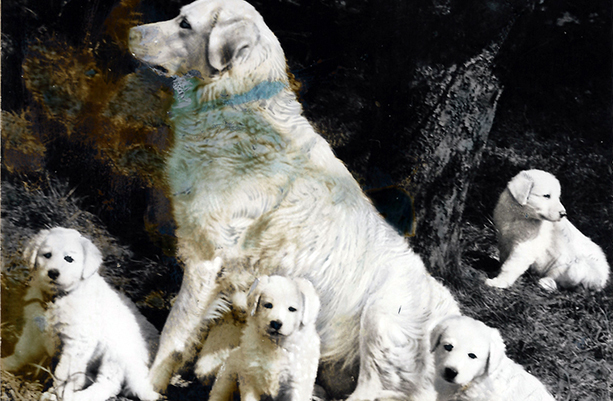 It is believed that the Kuvasz is one of the oldest Hungarian dog breeds. A fossil found in Keszthely-Fenékpuszta, Hungary in 1978 was identified as a Kuvasz skeleton from the late 9th century. It is theorized that the Kuvasz originated in Mesopotamia by the clay boards excavated in the Sumerian city of Kish. The pot displays the words "Ku Assa." When the Sigima people reached the Carpathian Basin about 3,000 years ago, they possibly brought their fine white sheepdogs from present-day Kurdish territory in Turkey. 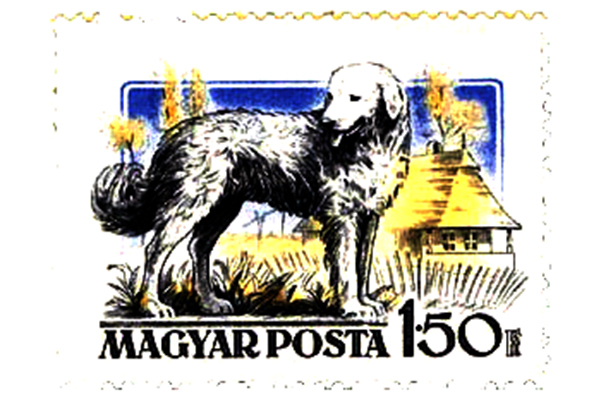 The incoming Magyar tribes might have found Kuvasz-type dogs in the plains and mountains. 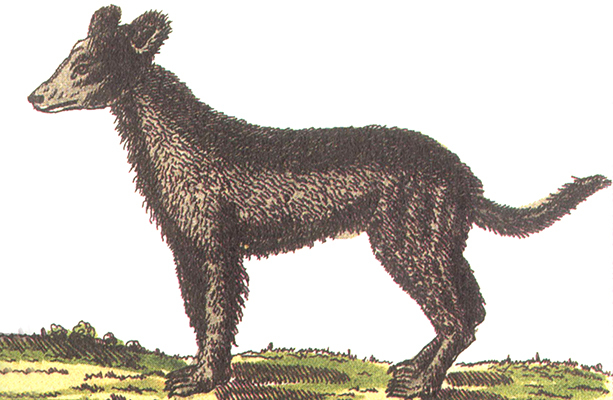 Early settlers needed a dog to protect them from human and animal enemies. The Kuvasz can bear extreme weather conditions. This was a necessity because of shepherds’ free ranching style. 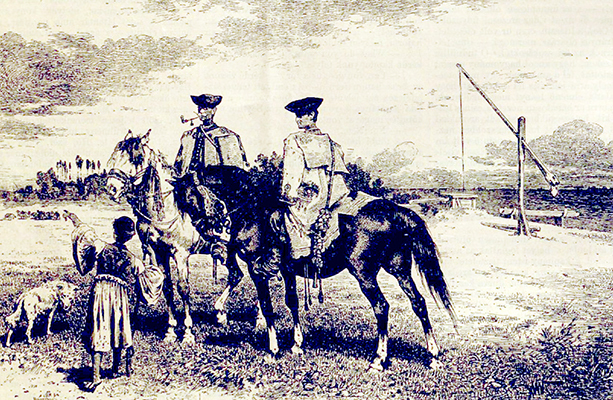 This meant livestock was grazing from field to field and spending an entire season away from home base. 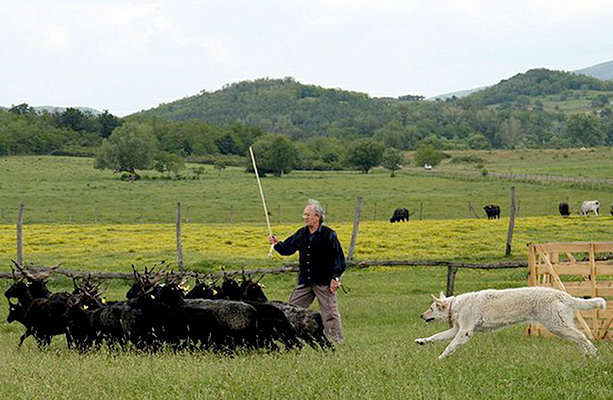 The Kuvasz was also used for hunting boars and bison. 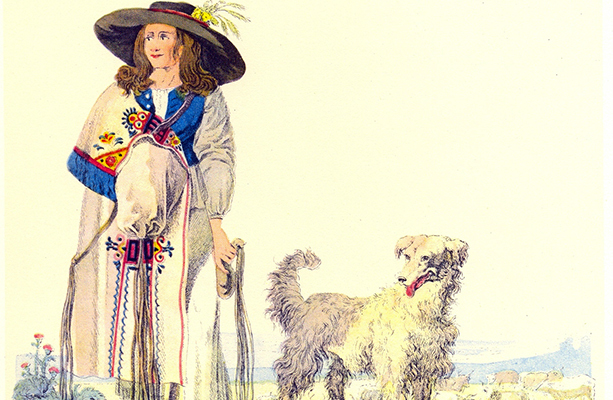 Royal families adored their brave hunting style, and they were often gifted as pups. King Mátyás I (1443–1490) always kept a few Kuvasz around to protect him during an uprising. Etymologists believe the Kuvasz word is of Sumerian origin and means "dog of horses." Interestingly, an old Turkish word, "küvaz," means "proud" while the modern Turkish word "kavas" means "guard" or "doorkeeper." The Kuvasz is a large dog with a white, coarse, odorless, double layered coat, a black nose, and almond-shaped eyes. Its main characteristic is a white coat. The average weight is 90–115 pounds (40–50 kg) and height is 26–30 in (65–75 cm). Its body is slightly longer than it is tall. The fundamental characteristic of the Kuvasz is that they dislike strangers. Intelligent and slightly aloof, they are strictly working dogs with the ability to think independently when action is required. Even with strict training, it is almost impossible to make them stay quiet as they are very vocal when signaling any unusual activity around the house. Like any other working dog, Kuvasz are happiest in an open environment where they have property to guard and protect.